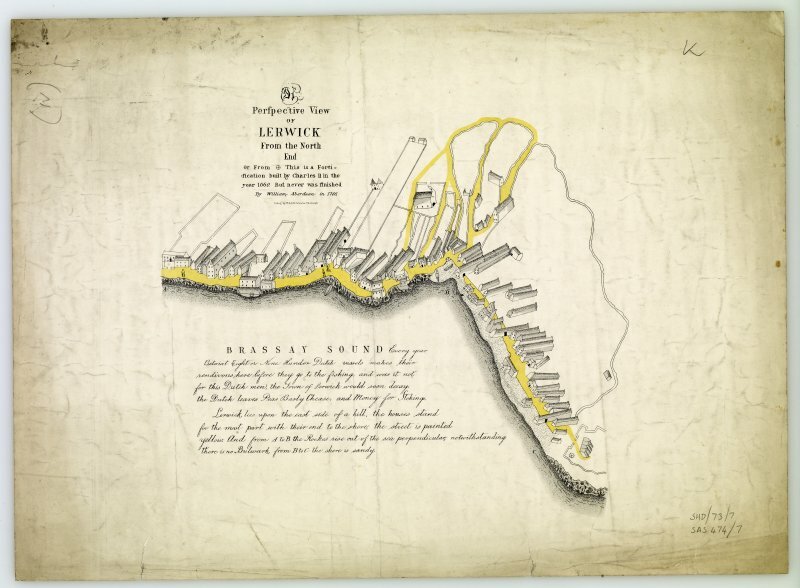 Perspective plan of Lerwick by William Aberdeen, 1766. 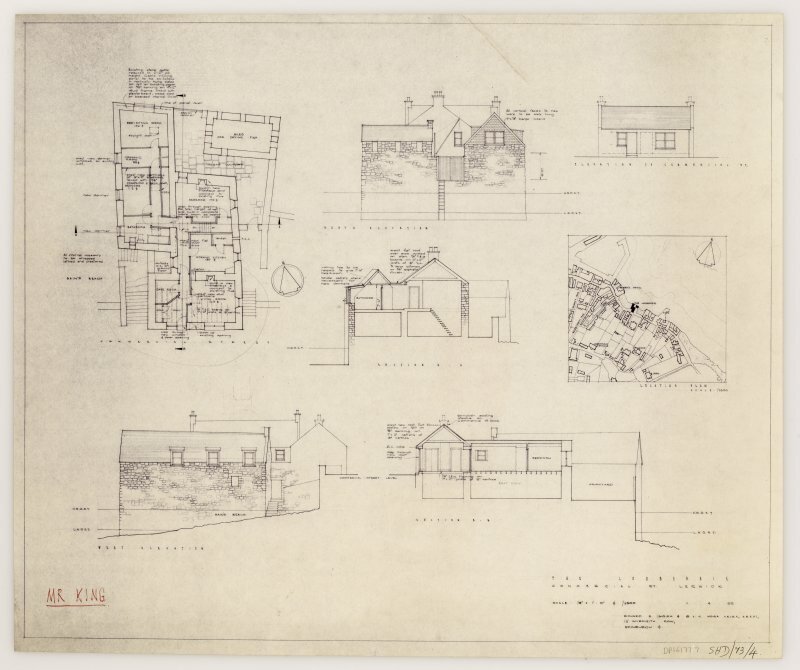 Plans, sections, elevations and site plan. NLO: Lerwick [name: HU 475 415]. (Location cited as HU 479 413). 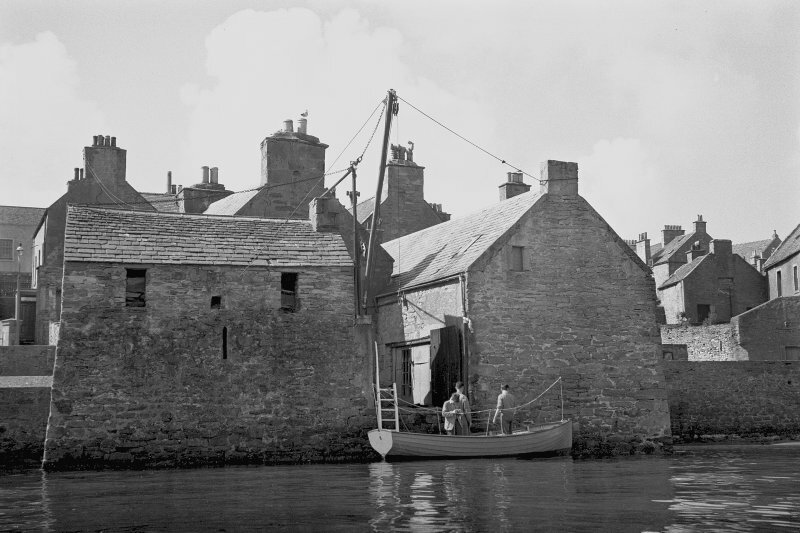 The Lodberrie, Lerwick, late 18th or early 19th centuries. 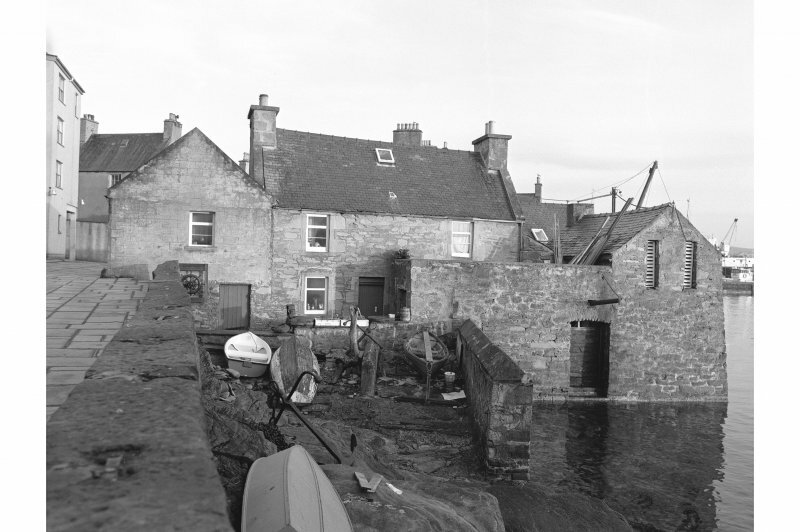 An attractive compact group of dwelling houses and stores on a pier projecting into the harbour. There is a sea-door with a wall crane, on the sea-front; cf. 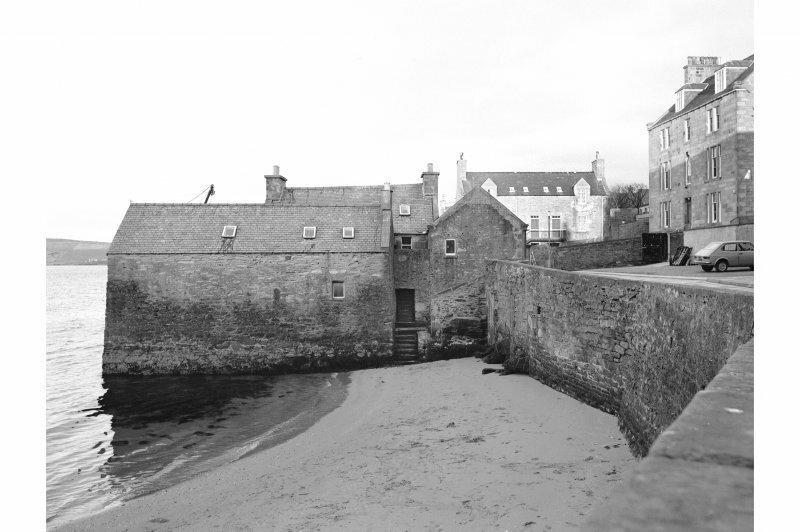 Stromness, Orkney. 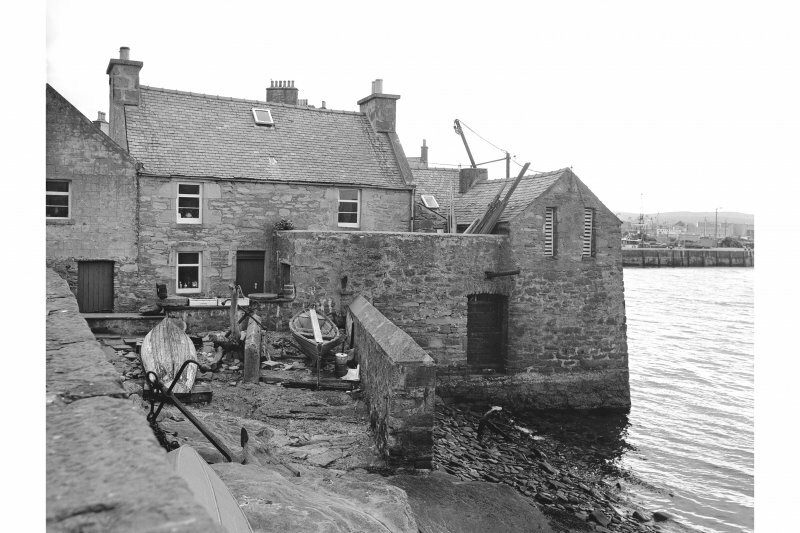 The ill-defined area of Lerwick Harbour (HU44SE 32: centred HU 47722 41345) essentially forms an extensive roadstead which comprises the waters of Bressay Sound between the narrow Northern entrance (around HU 475 445) and the broader Southern entrance (around HU 483 400). The main facilities are to be found around HU 477 414, on the W side of the Sound; recent development extends Northwards from this point. Information from RCAHMS (RJCM), 5 October 2007. 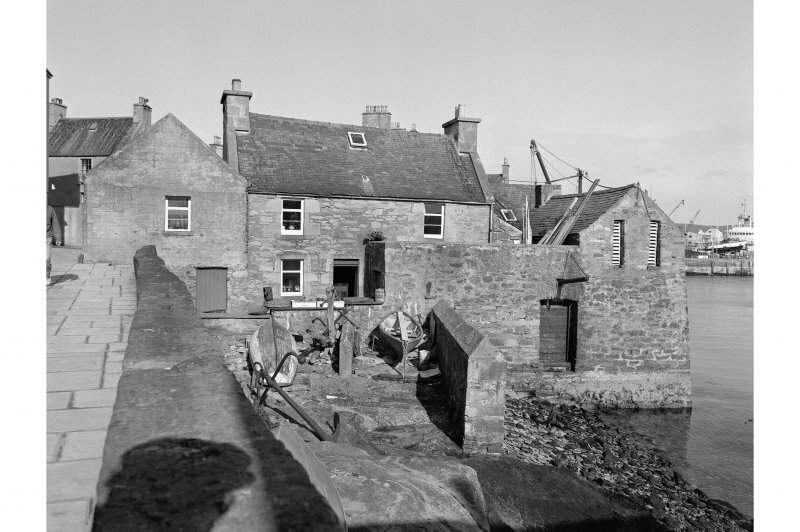 Picturesquely grouped house and stores built on lodberry, comprising single storey over concealed basement 3-bay range (former shop) to commercial street with 2-storey 3-bay house connected at right-angle to rear (N); 2-storey range (former sail loft and dry goods store at upper floor) with store and workshop at basement bounding W extent of complex, small flagged courtyard centred at N end of lodberry, 2-storey store (former wet fish store with meat and fishcuring "skeo" at upper floor) to NE corner. Harl-pointed random rubble walls. 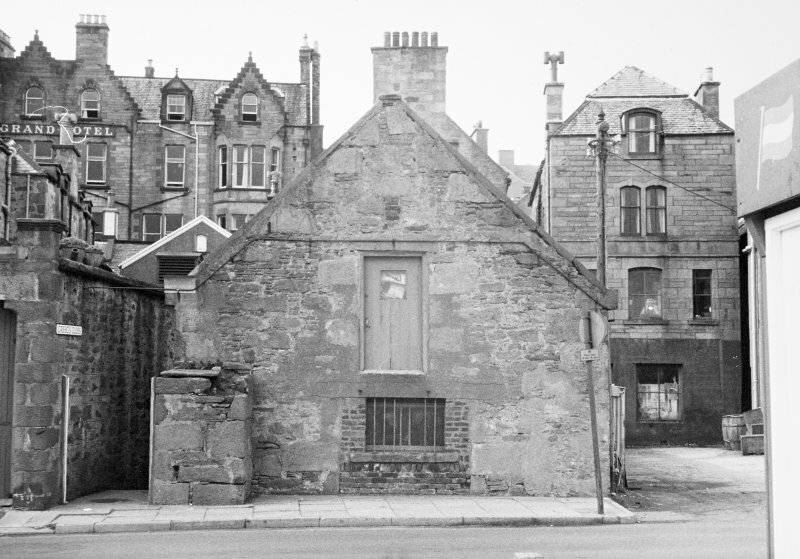 Formerly known as Robertson's Lodberry, it was named after Bailie John Robertson who was joint agent with Charles Merrylees for the North of Scotland and Orkney and Shetland Steam Navigation Company, who owned the neighbouring "steamer" storehouse at 18 Commercial Street .